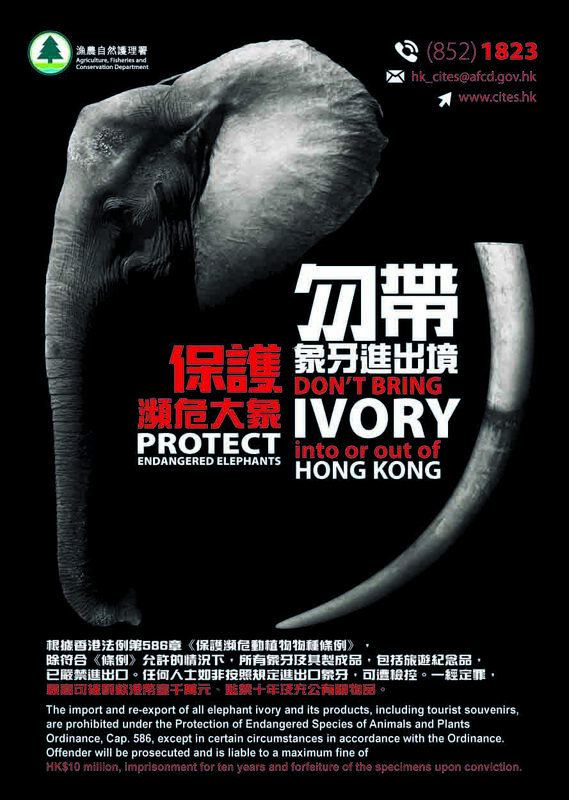 Endangered Species Resource Centre will be temporarily closed for renovation from 23 May to 12 June 2017. 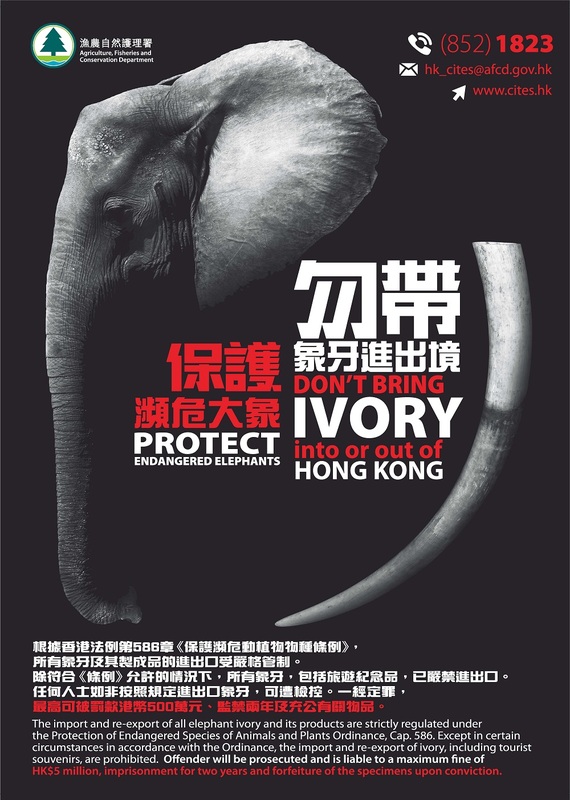 Annex - Poster "Don't bring Ivory into or out of Hong Kong"
Endangered Species Resource Centre will open to public at 9:30 a.m. - 12:30 p.m. every Saturday in February and March 2014 (except public holidays). All are welcome.